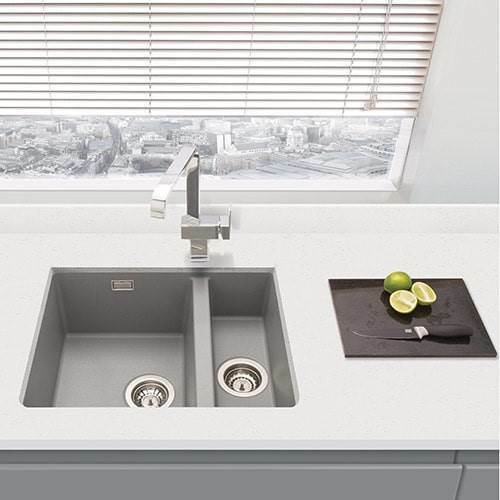 A granite or granite composite sink from Nexus offers durability and stylish contemporary design together in one high-quality package. Made from advanced leading-edge stone composites, these sinks are hard-wearing and extremely scratch- & stain-resistant. The daily rigours of cutlery and dishes won’t leave a mark. Our collection of granite and composite granite kitchen sinks boasts a range of styles and colours to fit any modern kitchen. We also offer a full range of Fragranite sinks by Franke. Drop by our showroom to see one of the best kitchen sink selections in the East Midlands – all at great-value prices!